Maryland lawns can contain both grassy and broadleaf weeds, such as crabgrass and dandelions. Any lawn with thin grass and poor soil conditions provides a prime environment for weed growth and infestations. 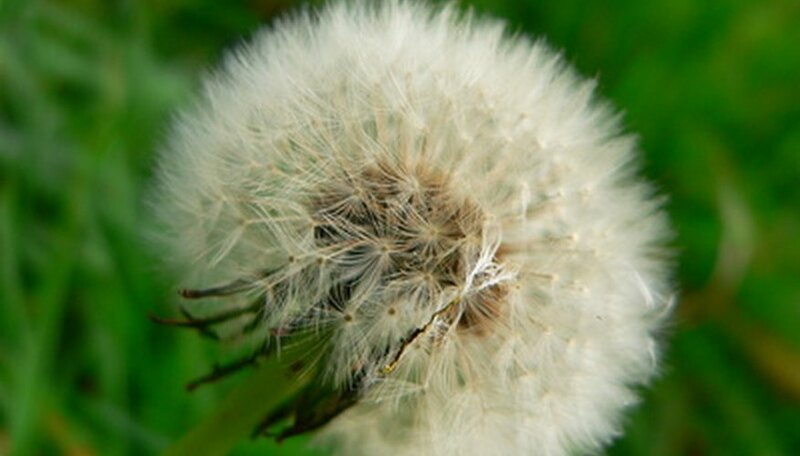 Proper identification of weeds in your lawn helps you choose the most appropriate herbicides and other forms of weed control. Maryland weed identification also serves residents who want to gather wild plants for their edible and medicinal properties. Use multiple resources when identifying weeds, because study and comparison of photos, descriptions and specimens improves your chance of correctly identifying a plant. Record the characteristics and measurements of the weed. Note the color, length, width, shape and texture of each plant part, such as the stem, flowers, leaves and root system, and note the growth season as well as any scents you smell. Take photos of the plant, if possible. Visit the HGIC Plant Diagnostic website from the University of Maryland Extension, and browse the Maryland lawn weeds by type (grassy or broadleaf) and season. Compare your photos and descriptions to those provided by the diagnostic site. Complete the weed identification form at the University of Illinois College of Agricultural, Consumer and Environmental Sciences website. Select the plant’s characteristics from a list of options on the left-hand side of the screen, and the site will make a list of possible plant matches on the right-hand side. Click on individual plant names for photos and descriptions. Visit a library and bookstores for additional guides on area plant identification, if needed. Books such as “The Forager’s Harvest” and “Medicinal Plants of North America” provide photos and descriptions of some common weeds, such as purslane and burdock. Review plant terminology from a plant glossary or field guide to assist you with accurate note taking and identification. For example, knowing the difference between basal and whorled leaves eases the identification process. Do not consume weeds unless you are absolutely certain of their identification and have a thorough knowledge of the plant's toxic components and preparation requirements. Contact with some weeds, such as poison ivy, may cause an allergic reaction or contact dermatitis.